USS Tennessee, ca. 1865. 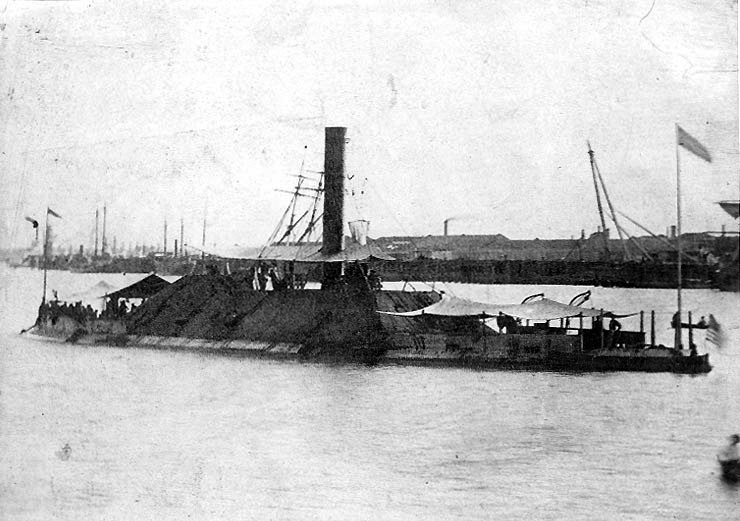 The Confederate ironclad warship CSS Tennessee was built in Selma and saw action in the Battle of Mobile Bay in August 1864. The ship was surrendered to the Union Navy in that battle and recommissioned the USS Tennessee and employed in the capture of Fort Morgan on August 23, 1864.